Professors C. Samuel Craig and William Greene of NYU Stern, and Anthony Versaci of AIG, encourage studio execs to monitor “e-buzz” prior to a film’s release to inform marketing efforts. 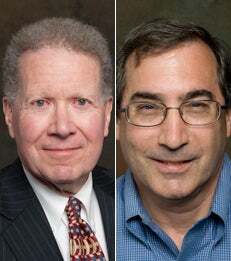 Just in time for the Oscars, Professors C. Samuel Craig and William Greene of the NYU Stern School of Business, and co-author Anthony Versaci of AIG, are releasing a new study demonstrating that online buzz prior to a film’s release is a good indicator of its future box office success. The authors contend that movie studios are in a position to use “e-buzz” to their advantage by adjusting advertising budgets and marketing strategies in real-time to increase the film’s likelihood of success. Higher levels of electronic word-of-mouth (e-WOM) on a particular film at least three weeks prior to its release, are predictive of success on opening weekend. Contrary to popular belief, a film’s “star power” and rating from the Motion Picture Association of America (MPAA) were not related to opening weekend revenues. The article, "E-Word of Mouth: Early Predictor of Audience Engagement – How Pre-Release ‘E-WOM’ Drives Box-Office Outcomes of Movies,” will appear in the March 2015 issue of the Journal of Advertising Research. To speak with the authors, please contact them directly: Samuel Craig, 212-998-0555, scraig@stern.nyu.edu; William Greene, 212-998-0876, wgreene@stern.nyu.edu; or contact Carolyn Ritter in NYU Stern’s Office of Public Affairs at 212-998-0624 or critter@stern.nyu.edu.